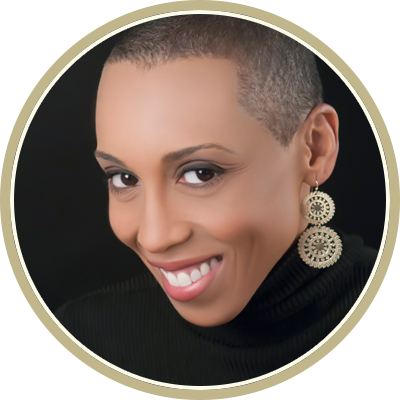 Andrea Davis Pinkney has written many books for children and young adults, including The Red Pencil, winner of the 2015 Children's Africana Book Award, and Rhythm Ride. She lives in New York City. Q: Your book The Red Pencil takes place in Darfur. Why did you decide to set the book there, and how did you research the recent history of Sudan and Darfur? A: In the year 2003-2004, Darfur and the crisis in Sudan was everywhere in the news. My own children were in middle school at that time. I asked them, Do you know what’s going on in Darfur? They sort of knew. I thought, How do middle schoolers make sense of the complexities of war, and a crisis like that? They need to know. The other piece was that as an author I visit schools all over the globe—practically every state, and on the continent of Africa. People were saying, You’ve got to tell this story, and I was saying, I agree. Aside from the specifics of Sudan and Darfur is the larger question: How do any of us make sense of any war? The research came in many forms, first through my school visits here and abroad, talking to students about war, Sudan and Darfur. It was one of those things where intention and longing meet up---people from Sudan and Darfur started entering my orbit. I spent time interviewing people who had lived that crisis, who had gone to the refugee camps in a service capacity. Abdalmageed S. Haroun [was from Darfur] and eventually came to the United States. He sat with me for many hours going through every line of my manuscript…It was more than fact-checking; there was a lot of storytelling. One woman who is African-American [and had worked on the issue] told me about the art supplies and the children, and healing through art. The hedgehog that appears in the book [is from her stories]. It was primary source research, going to Africa myself, being in the schools, and the library and the internet. Q: You write, "The use of prose poems to tell [the main character] Amira's story is deliberate." Why did you opt to use this format in telling her story? A: I knew that I could not sugarcoat some of the harsh realities of war. However, at the same time, I had to make them accessible. I felt that prose poems was a way to do that. I also heard the voice of this girl—I’d get up at 4:00 to do my writing, and it was like an apparition started talking to me. Amira spoke the story to me—I feel in many ways I didn’t even write the book but was channeling the voice this girl was [speaking]. Q: Have you had that experience with some of your other books? A: Yes, but not as strongly. Q: You note that 523 million girls and women around the world can't read or write. What do you hope readers take away from Amira's story? A: Speaking about global literacy, there is still a crisis going on. I hope readers take away really how fortunate we are that we can read any book we want—and [that we have] the basic civil right of going to school, of education, and learning, and to embrace and be grateful for that. If it’s young readers, that they understand that this is not true everywhere in the world. Those who have the gift of literacy—it is our responsibility to share that gift, through whatever means. Q: You've written for a variety of age groups. Do you have a preference? A: I’ve written board books through young adult. It’s a cliché, but it’s almost like saying which of your children do you [prefer]—I love them all for different reasons. They spark my imagination in different ways. When I’m writing, I’m writing for what for what excites and delights the child in me. I hope that will transfer. Q: I wanted to ask you about your newest book, Rhythm Ride. How did you come up with the idea for this book? 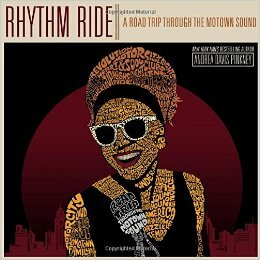 A: Rhythm Ride is about Motown. Like the majority of us, I grew up on the music. One night, I overheard my son listening to music—it was the song "I’ll Be There," which was originally recorded by Michael Jackson. He said, Oh, Mom, listen to this song by Mariah Carey! I said, Yes, Mariah Carey did record it, but let Mama set you straight! I thought I knew a lot, but I didn’t know how Berry Gordy decided in 1959 that he would start an empire by pulling kids off the street and turning them into stars. Motown music, as President Barack Obama has said, was the soundtrack of the civil rights movement. The music crossed the color line. Berry Gordy thought [the music] touches all of us. Motown grew as America grew. For the darkest times, music was there--Marvin Gaye singing "What’s Going On." The music crossed the color line, it helped us get through the dark times, and today, "What’s Going On" is still an anthem. Q: You mentioned that you didn’t know how Berry Gordy would pull kids off the street and turn them into stars—were there other surprises as you researched the book? A: I didn’t know, for example, that Berry Gordy had recorded several speeches of Martin Luther King, Jr., and had made them into albums. He understood he was making history. I didn’t know Berry Gordy was employing the assembly-line concept, which he had learned as an automotive worker—the concept being that you create something beautiful that consumers want, and keep churning it out over and over. 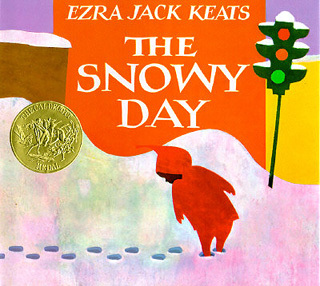 A: The year 2016 marks the 100th birthday, the centennial, of Ezra Jack Keats, the creator of The Snowy Day. I’m creating a picture book biography. The centennial is so timely, with everything going on with diversity in publishing. The Snowy Day was the first full-color picture book for children that [focused on] an African-American character. I explore that. 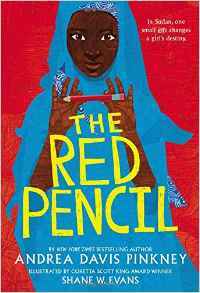 A: With The Red Pencil, now I’ve explored the book with students, and I’m interested in hearing feedback. I asked them what the book was about, and they said, Getting through hard times with drawing and reading; it’s about family, best friends, pets, about feeling better after something bad happens. It reminds me that while the book is set in a particular time and place, the themes are universal.